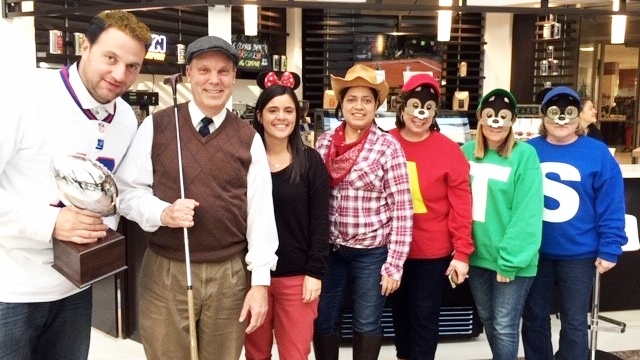 Each office celebrated with a party and plenty of treats and the results of the much-awaited costume contest. Each REM office had their own group of judges. 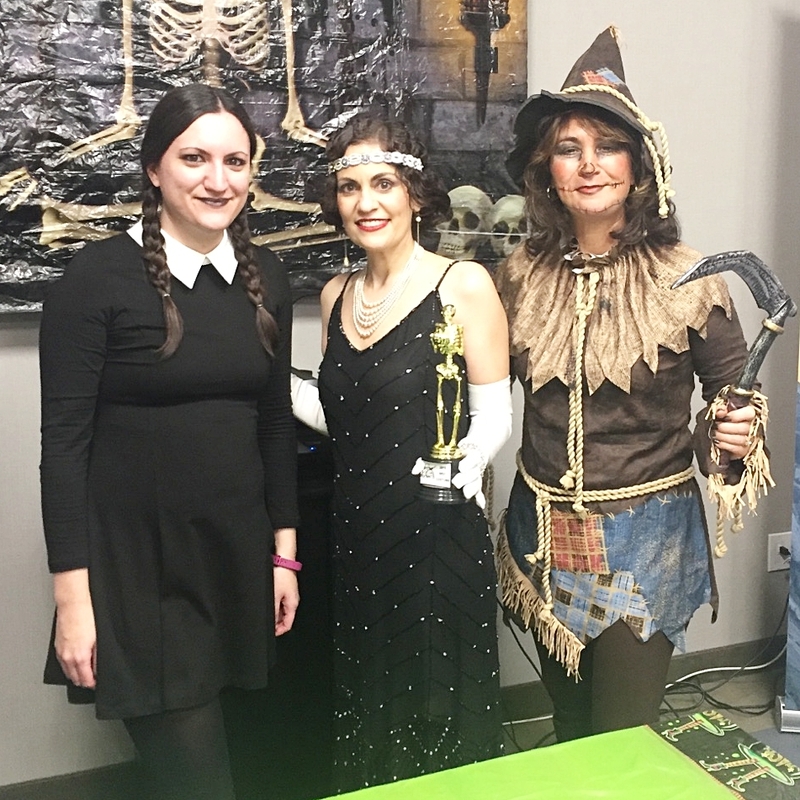 Prizes were awarded for 1st, 2nd, and 3rd place and the group with the best costume. The winning costumes ranged from a Golfer, Mrs. Claus, a Flapper, and a pair of Tired Pregnant Ladies. 3rd place: AJ DaPonte, Odell Beckham, Jr. The lucky winners received $50 gift cards for 1st place, $25 for 2nd place, $10 for 3rd place and the best overall group $15 gift card per person. Another REM Social Events Committee success. 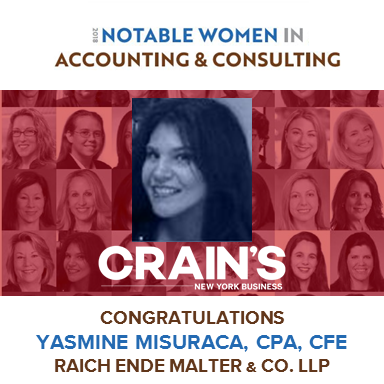 Crain's New York Business names Misuraca one of the top "Notable Woman in Accounting"
Congratulations to Yasmine Misuraca, CPA, CFE for her recent accolade from CRAIN'S New York Business as one of the top Notable Women in Accounting and Consulting for 2018. Among her other accomplishments, Yasmine is the founder and partner-in-charge of REM's Forensic Accounting practice, has authored articles for the CPA Journal, taught seminars on forensic accounting and cryptocurrency, and served as an expert witness in high-profile court cases. Kudos, Yasmine. We are excited to see what comes next. 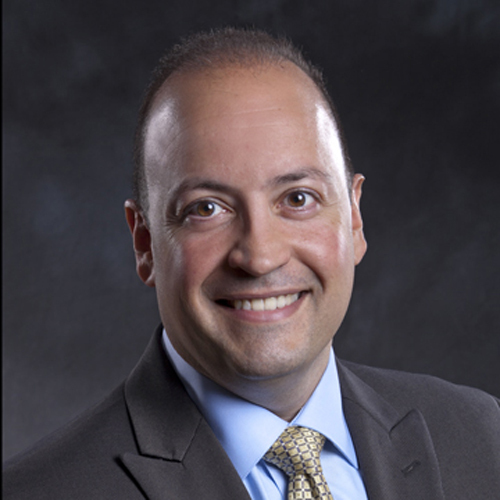 MELVILLE, NY - REM Tax Manager Evan Piccirillo, CPA's article “Pitfalls of the New IRS Interest Expense Limitation” appeared in the August 7, 2018 edition of the New York Real Estate Journal. Evan provides tax and business advisory services to a diverse range of clients. With over fifteen years of experience serving the tax needs of commercial real estate owners and investors, Evan provides strategic advice on entity structuring, tax planning, and financing. Evan is an accomplished author and public speaker. He lives with his family in Long Island, New York. NEW YORK CITY - Raich Ende Malter & Co. LLP was a proud sponsor of "Fresh to New York," a professional and social networking event for new NYC residents and established New Yorkers looking to learn more about top NYC professions. The sold-out event took place July 11 at the WeWork Tower 49 in Midtown East. Yasmine Misuraca, CPA, CFE, Partner-in-Charge of REM's Forensic Accounting and Dispute Advisory practice, has a featured article in the current issue of the CPA Journal. Over the course of her career, Yasmine has worked on many high profile cases. 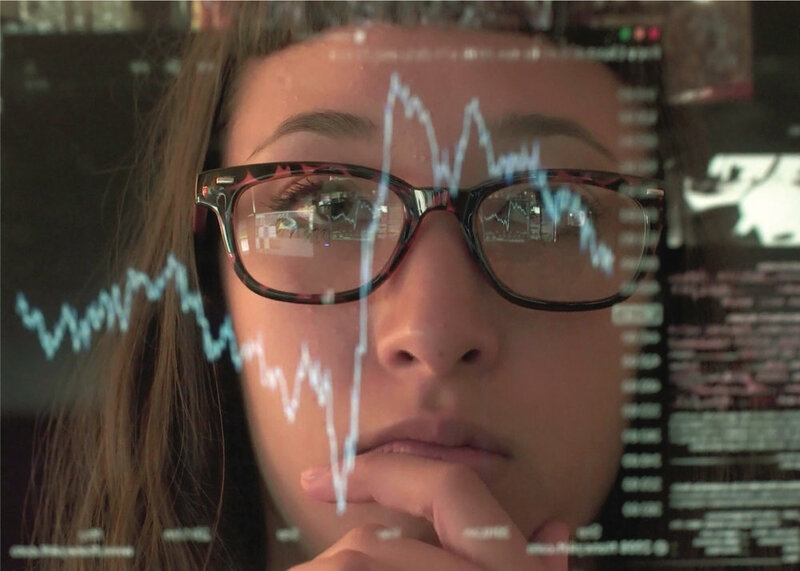 In her article, she discusses her background and why she was drawn to forensic accounting, as well as an inside look at some of her professional experiences. The full article can be found here. Congratulations, Yasmine. Registration is still open here. (Left to right) Tyler Russell and Arthur J. DaPonte. FLORHAM PARK, NJ (April 18, 2018) – Prominent New York metropolitan area accounting and consulting firm Raich Ende Malter & Co. LLP (REM) is pleased to announce REM ThinkLab, an effort to provide thought leadership on blockchain accounting. As cryptocurrencies such as Bitcoin and Ethereum gain ground in global commerce, an understanding of blockchain, the digital ledger technology used to record cryptocurrency transactions, is essential for the accounting profession. To aid clients and colleagues in parsing this new tech, REM ThinkLab will publish periodic whitepapers, as well as thought pieces on The REM Cycle, Raich Ende Malter’s tax blog. Considering the relatively recent technology involved, it is only fitting that this project is the product of the firm’s younger generation of staff. REM ThinkLab is helmed by Arthur J. DaPonte, CPA, and Tyler Russell, who have already co-authored a blockchain whitepaper, an illustrated blog post, and a comprehensive glossary of blockchain technology terms for newcomers. They are currently developing a CPE course on the topic and plan to take it on the road this summer. Tax partner Ken Lindenbaum onstage at the Garden City Hotel Grand Ballroom. 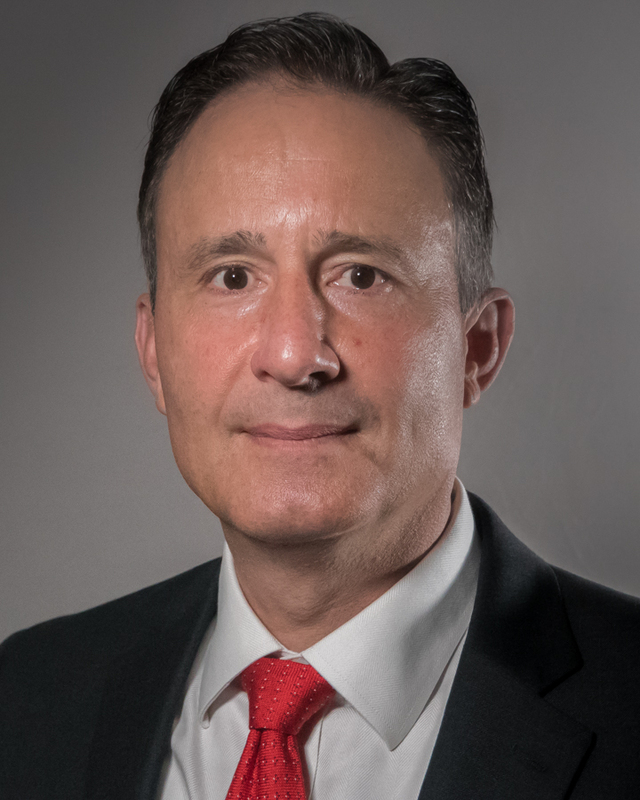 GARDEN CITY, NY (April 13, 2018) – Congratulations to tax partner Kenneth Lindenbaum on being an invited speaker at "Destination Florida" at the historic Garden City Hotel in Garden City, New York on Wednesday, April 11, 2018. Mr. Lindenbaum spoke about investment options, the costs and benefits of relocation, and retirement choices for high net worth individuals. "Destination Florida" was sponsored by Douglas Elliman. Other speakers included Elliman chair Howard M. Lorber, Jay Phillip Parker (CEO Florida Brokerage, Douglas Elliman), and Jonathan Miller (President/CEO of Miller Samuel Inc.). Abstract: A new partnership audit regime gives the IRS the ability to impose tax assessments on partnerships under audit. Here, we discuss the options available to partnerships. Doing nothing or making an uninformed decision could cause the partnership to pay a higher than necessary tax assessment and/or cause the partnership and its partners to waste time and money on unnecessary compliance. As always, we strongly encourage our clients to consult with their trusted tax professionals before making these decisions. For years ending after December 31, 2017, the Bipartisan Budget Act of 2015 (“BBA”) created a new Centralized Partnership Audit Regime (“CPAR”). These new rules are applicable to all entities treated as a partnership for federal tax purposes and for the first time, makes partnerships liable for U.S. federal income tax assessments. Why are the new rules important? Absent a timely election out by qualifying partnerships (discussed below), these rules fundamentally change how tax is assessed and collected upon a partnership audit. For starters, partnerships will be required to designate a partner (or other person) with a substantial presence in the U.S. to be the Partnership Representative (“P-REP”) who will have the sole and binding authority to act on behalf of the partnership with the IRS. The P-REP effectively replaces the Tax Matters Partner of the old TEFRA partnership audit rules that are repealed by the BBA. The general/default rule will have partnerships paying a tax (“imputed underpayment”) using the highest Section 1 tax rate in effect (currently at 37% for 2018), ignoring (1) the nature of the adjustment(s) (for example, long-term capital gains that would otherwise be subject to a lower tax rate) and (2) the nature of the partners (for instance, a partner that is a tax exempt entity not subject to an income tax). Favorable adjustments that do not offset unfavorable adjustments will be a reduction to income in the adjustment year (usually the year that the audit closes). There are significant and tedious rules surrounding the grouping and netting of unfavorable and favorable adjustments, which are outside the scope of this summary. There are many obvious inequities associated with the default rules of this new audit regime. For instance, if there has been a change in ownership, new partners could bear the economic burden for tax assessments relating to unfavorable adjustments (and/or benefit from favorable adjustments) relating to years when they were not partners. Fortunately, there are alternatives that can help alleviate some of these inherent inequities; though some of these options (which we will discuss shortly) will come with additional monetary cost and compliance. The P-REP will have many decisions to make, which at times may benefit some partners to the detriment of others. 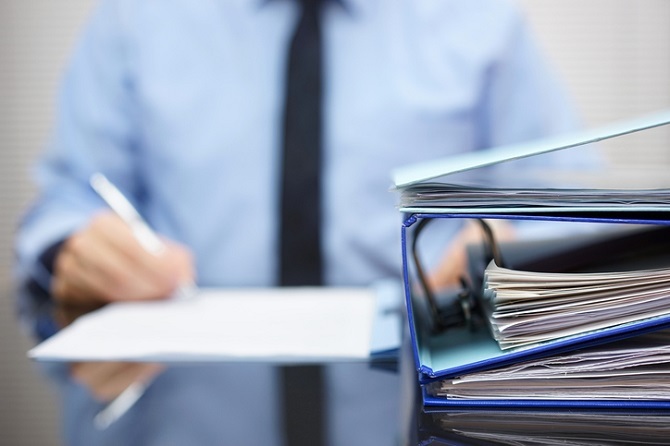 While the focus of this memo is the effect that the new statute will have on the audit process, the new rules also affect the process for making adjustments to previously-filed partnership tax returns, which is outside the scope of this memo. Fewer than 100 partners, meaning fewer than 100 K-1’s issued, or that have potential to be issued, e.g., a husband and wife joint K-1 counts as two and each S-corporation shareholder member counts as one. Must have eligible partners, meaning all partners must be one of the following: individuals; C corporations (including RICs and REITs); certain foreign entities that would be treated as a C corporation, were they domestic; S corporations; or an estate of a deceased partner. Partnerships with trusts, partnerships, or LLCs (including disregarded entities/single-member LLCs) are not eligible to elect out. This election is made yearly on the partnership’s timely filed tax return and is binding to the partnership and all the partners unless the IRS determines that the election was invalid. If such an election is made, the partnership and the partners will be subject to the pre-TEFRA rules causing audits to be performed at the individual partner level; therefore expanding the potential scope of the audit. It will also be possible to for multiple partners to be audited by different auditors; having the potential for the same partnership item to be audited by several auditors with no requirement that their results conform to one another. Accordingly, partnerships should carefully weigh the pros and cons before making this election. If the partnership is unable to elect out or chooses not to, the partnership will need to consider the various options available to them throughout the audit process. There are several modifications that a partnership can request to reduce the assessment; the partnership will also have the ability to elect to push out the audit adjustments and not pay the tax. Time constraints exist with each option, so procrastination could be costly. A partnership that has received a notice of proposed partnership adjustment (“NOPPA”) may request one or more modifications to the proposed imputed underpayment. Amended returns by reviewed year partners. If one or more partners of the reviewed year return include their respective share of the NOPPA adjustment(s) on an amended return for such year (including any other affected intervening year(s), and pay all taxes due), then the imputed underpayment of the partnership shall be determined without regard to such adjustment(s). Tax-exempt partners. If the partnership demonstrates that a portion of the adjustment(s) is allocable to a reviewed year partner that would owe no tax by reason of its status as a tax-exempt entity, then the imputed underpayment will be determined without regard to such adjustment(s). Modification based on a rate of tax lower than the highest applicable tax rate. A modification based on a lower rate of tax may be requested with respect to a reviewed year partner that is a C corporation and adjustments with respect to capital gains or qualified dividends that are attributable to reviewed year partners that are individuals. Other modifications. Modifications that are not specifically described by the regulations may be requested and allowed if the IRS determines that such modifications are accurate and appropriate. The partnership can also make an election (commonly referred to as the “push-out election”) and not pay the imputed underpayment. If elected, the partnership is not required to pay the imputed underpayment but is instead required to furnish statements to the reviewed year partners, who must then take into account their share of the partnership adjustments (both favorable and unfavorable), and calculate and pay their respective tax, penalties and interest (for the reviewed year and any affected intervening year). Refunds will not be issued for any year that the tax is lower as a result of such adjustments. This election comes at the price of cumbersome compliance at both the partnership and partner level, and will be further complicated when tiered structures are involved. Furthermore, partners will also be subject to an additional 2% interest charge above the normal underpayment rate. For further information, please contact Jodi Bloom-Piccione. Lower income tax rates and brackets. The standard deduction is increased to $24,000 for married individuals filing a joint return, $18,000 for head-of-household filers, and $12,000 for all other taxpayers, adjusted for inflation in tax years beginning after 2018. The deduction for personal exemptions is effectively suspended by reducing the exemption amount to zero. Child tax credit increased to $2,000 per qualifying child. The credit phases out at $400,000 for married taxpayers filing jointly and $200,000 for all other taxpayers. Certain non-child dependents will have a nonrefundable $500 credit. 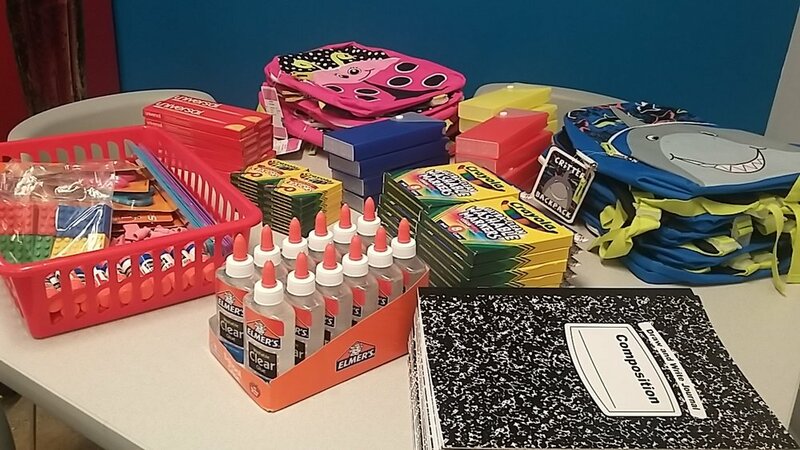 Refundable credit amount increases to $1,400 per qualifying child up to the base amount of $2,000. Earned income threshold for the refundable portion of the credit will be reduced from $3,000 to $2,500. Breakpoints for capital gains taxes remain the same, but will be indexed for inflation using the Chained Consumer Price Index for All Urban Consumers (C-CPI-U). Gambling losses: All deductions for expenses incurred in carrying out wagering transactions (in addition to gambling losses) are limited to the extent of gambling winnings. SALT deductions: For tax years beginning after December 31, 2017 and before January 1, 2026, subject to the exception described below, state, local, and foreign property taxes, and state and local sales taxes, are deductible only when paid or accrued in carrying on a trade or business or an activity for the production of income. State and local income, war profits, and excess profits are not allowable as a deduction. A taxpayer may claim an itemized deduction of up to $10,000 ($5,000 for a married taxpayer filing a separate return) for the aggregate of 1) state and local property taxes not paid or accrued in carrying on a trade or business or activity and 2) state and local income, war profits, and excess profits taxes (or sales taxes in lieu of income, etc. taxes) paid or accrued in the tax year. Foreign real property taxes may not be deducted. For tax years beginning after December 31, 2016, in the case of an amount paid in a tax year beginning before January 1, 2018 with respect to a state or local income tax imposed for a tax year beginning after December 31, 2017, the payment will be treated as paid on the last day of the tax year for which such tax is so imposed. Therefore, a taxpayer who, in 2017, pays an income tax that is imposed for a tax year after 2017, can’t claim an itemized deduction in 2017 for that prepaid income tax. Mortgage and home equity: For tax years beginning after December 31, 2017 and before January 1, 2026, the deduction for interest on home equity indebtedness is suspended, and the deduction for mortgage interest is limited to underlying indebtedness of up to $750,000 ($375,000 for married taxpayers filing separately). “Binding contract” exception: A taxpayer who has entered into a binding written contract before December 15, 2017 to close on the purchase of a principal residence before January 1, 2018, and who purchases such residence before April 1, 2018, shall be considered to incur acquisition indebtedness prior to December 15, 2017. Refinancing: The $1 million/$500,000 limitations continue to apply to taxpayers who refinance existing qualified residence indebtedness that was incurred before December 15, 2017, so long as the indebtedness resulting from the refinancing doesn’t exceed the amount of the refinanced indebtedness. Medical expense deductions: For tax years beginning after December 31, 2016 and ending before January 1, 2019, the threshold on medical expense deductions is reduced to 7.5% for all taxpayers. The rule limiting the medical expense deduction for AMT purposes to 10% of AGI doesn’t apply to tax years beginning after December 31, 2016 and ending before January 1, 2019. Charitable contribution deduction limit increased: For contributions made in tax years beginning after December 31, 2017 and before January 1, 2026, the limitation for cash contributions to public charities and private foundations is increased to 60% of AGI. Contributions exceeding the 60% limit are generally allowed to be carried forward and deducted for up to five years, subject to the later year’s ceiling. Casualty losses: Under the Act, taxpayers can take a deduction for casualty losses only if the loss is attributable to a declared disaster. Alimony treatment: For any divorce or separation agreement executed after December 31, 2018, or executed before that date but modified after it (if the modification expressly provides that the new amendments apply), alimony and separate maintenance payments are not deductible by the payor spouse and are not included in the income of the payee spouse. Instead, income used for alimony is taxed at the rates applicable to the payor spouse. Miscellaneous itemized deductions: For tax years beginning after December 31, 2017 and before Jan. 1, 2026, the deduction for miscellaneous itemized deductions that are subject to the 2% floor is suspended. “Pease” limitation on itemized deductions is suspended. Repeal of ACA mandate: For months beginning after December 31, 2018, the amount of the individual shared responsibility payment is reduced to zero. This repeal is permanent. For marrieds filing separately, $54,700. For trusts and estates, the base figure of $22,500 and phase-out amount of $75,000 remain unchanged. All of these amounts will be adjusted for inflation after 2018 under the new Chained Consumer Price Index for All Urban Consumers (C-CPI-U) inflation measure. ABLE account changes: Effective for tax years beginning after the enactment date and before January 1, 2026, the contribution limitation to ABLE accounts with respect to contributions made by the designated beneficiary is increased, and other changes are in effect as described below. After the overall limitation on contributions is reached (i.e., the annual gift tax exemption amount; for 2018, $15,000), an ABLE account’s designated beneficiary can contribute an additional amount, up to the lesser of 1) the Federal poverty line for a one-person household; or 2) the individual’s compensation for the tax year. Expanded use of 529 accounts: For distributions after December 31, 2017, “qualified higher education expenses” include tuition at an elementary or secondary public, private, or religious school, up to a $10,000 limit per tax year. Discharged student loan debts for reasons of death or permanent disability will be excluded from gross income. ·Rollover period extended for rollover of plan loan offset amounts. For plan loan offset amounts which are treated as distributed in tax years beginning after December 31, 2017, the period during which a qualified plan loan offset amount can be contributed to an eligible retirement plan as a rollover contribution will be extended to the due date (including extensions) for filing the Federal income tax return for the tax year in which the plan loan offset occurs (the tax year in which the amount is treated as distributed from the plan). Estate and gift tax: Increased exemption amount. For estates of decedents dying and gifts made after December 31, 2017 and before January 1, 2026, the Act doubles the base estate and gift tax exemption amount from $5 million to $10 million. The $10 million amount is indexed for inflation occurring after 2011 and is expected to be approximately $11.2 million in 2018 ($22.4 million per married couple). Further changes to the tax bill are possible, but unlikely. If you have questions about how these points will affect you, please contact your trusted REM tax professional. It’s still a work-in-progress. There are still significant differences between the House and Senate versions of the bill. This will require reconciliation, and there is potential for many changes before the bill moves on to the White House for signature. Therefore, all of the following is subject to change. The standard deduction will nearly double—but the bill also eliminates the personal exemption, which could offset the higher deduction, particularly in the case of families with many dependents. Deductions for state and local income taxes (SALT) will be eliminated. Property taxes will still be deductible ($10,000) for taxpayers who itemize. Threshold for estate tax will double, making it applicable to even fewer individuals and couples. The individual healthcare mandate would be eliminated in order to help pay for some of the other tax cuts. There will be a new deduction for certain pass-through income of 23%. The alternative minimum tax will remain, both for corporations and for individuals. Everyone’s tax situation is different. We are closely following the bill as it is refined by Congress, and will send updates on major changes. In the meantime, should you have any questions, please contact your trusted REM advisor. Under current law, portability allows the unused lifetime exemption of a deceased spouse to be transferred to a surviving spouse. In the instance when an estate tax return is required and timely filed, the portability election is fairly simple. In instances when a federal estate tax return is not required, the portability election can sometimes slip through the cracks. The IRS recently released Revenue Procedure 2017-34, giving surviving spouses of estates additional time to file for portability after the death of their spouse. Previously, a surviving spouse had until the estate tax filing deadline plus extension to file for portability. That provided a window of only 15 months to elect portability (a 9-month due date plus a 6-month extension). This applied even to estates under the filing threshold of $5 million in 2011, increasing each year to the current $5.49 million. Those estates that had no estate tax filing requirement might easily have missed the deadline to file if the only reason for filing was to secure portability. The only option for a missed election in that narrow window of time was to request relief via a private letter ruling, which was a costly and time consuming option. Under the new Revenue Procedure, surviving spouses may now file a late portability election up to January 2, 2018 for any death occurring after 2011. Also under the new rules, a surviving spouse has until the later of January 2, 2018 or two years after the death of the spouse to file for portability. This new Revenue Procedure allows clients and practitioners another bite of the apple to correct any missed elections and to use the additional lifetime exemption granted under portability to create opportunities for estate planning or to enhance existing planning. To determine what opportunities might be available, consult your trusted tax professional. Raich Ende Malter & Co. LLP is pleased to announce our ranking among the top 100 accounting firms in America, according to INSIDE Public Accounting. The firm has maintained a strong presence on IPA lists for the better part of a decade. The ranking is based on IPA's Survey and Analysis of Firms. Well over 500 accounting firms participate in this annual survey, providing in-depth financial and operational data to be compiled into the annual firm rankings released by IPA during August of every year. The IPA Top 100 is widely considered the gold standard for growth and profitability metrics within the accounting profession. As always, our inclusion here is a source of pride, and we look forward to 2018. 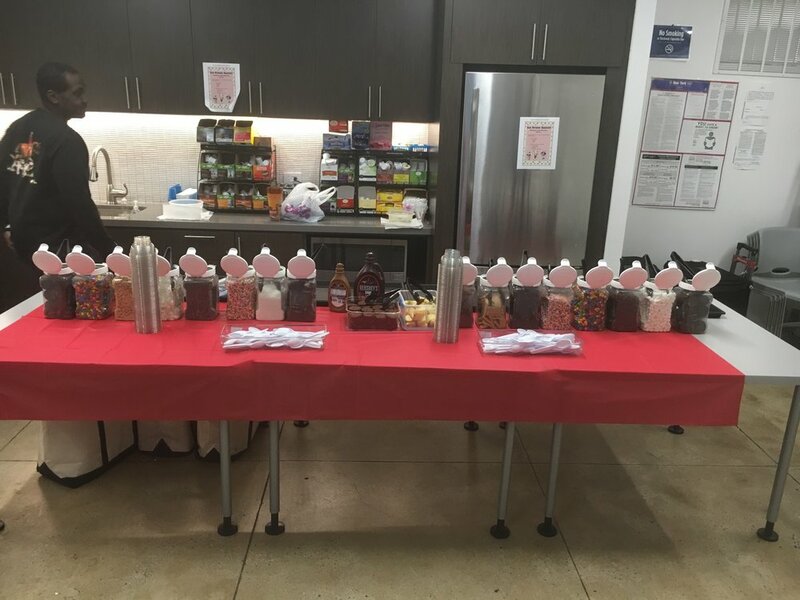 On August 30, REM satisfied its sweet tooth at a firm-wide ice cream social. In our Long Island office, all of the staff members received an exclusive coupon promising one free cold treat. 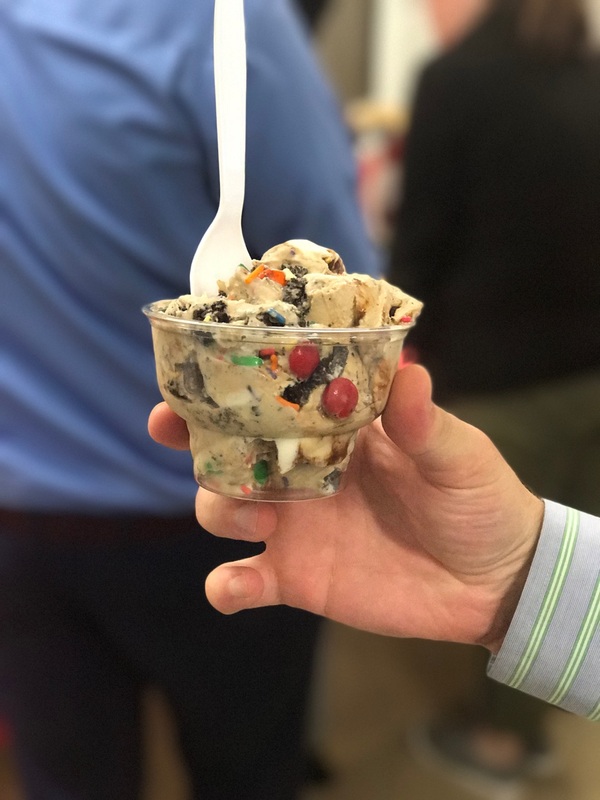 That afternoon, an ice cream truck (owned by Lenny Warner, a friend of tax partner Gigi Boudreaux) pulled up in front of the office building, and soon, a steady stream of REM employees lined up for delicious frozen indulgences. Coupons were exchanged for desserts, and shakes, cones, and sundaes were enjoyed by all. (Unfortunately, there were no sightings of anyone with a SpongeBob or Spider-Man Popsicle.) The weather proved perfect, and colleagues gathered in the sunshine. In our New York City headquarters, ice cream made an appearance a different form. 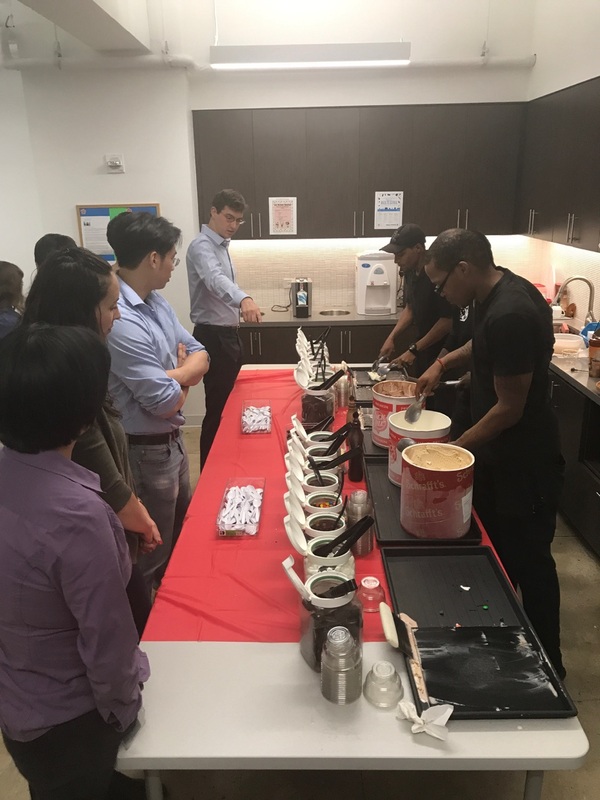 The NYC staff experienced a do-it-yourself sundae bar (à la Cold Stone Creamery), with a choice of three flavors: vanilla, chocolate, and coffee. To top it off, there was an abundance of toppings, including but not limited to sprinkles, cookies, M&Ms, and various syrups. After choosing toppings, an ice cream professional mixed everything together. Despite a nearing deadline for the tax department, nearly everyone made an appearance at the Social. Thanks to the REM Social Events Committee for organizing the event. We raise our cones and salute you.